With over 50 years of cumulative experience, Freeman & Bracey, PLC remains the number one choice for a reputable full-service law firm for everyday people just like you. Located conveniently in the heart of Goodlettsville, Tennessee, our law firm serves clients in various civil litigation matters across Davidson County, Sumner County, Robertson County, and the surrounding areas. Our experienced legal representation includes personal injury, car wrecks, family law, contested and uncontested divorces, child support issues, probate administration, estate planning, drafting Last Will and Testaments and Durable Power of Attorney documents, real estate transactions and closings, business law, contract disputes and more. Our attorneys understand legal matters can be overwhelming and time-consuming and we are here to provide you with reliable, professional and experienced legal representation to help you every step of the way. When you have been injured in a car wreck or tractor trailer wreck in the surrounding Davidson County area, including Sumner County & Robertson County, our personal injury attorneys understand the difficulties you now face. You may be out of work and paying out of pocket for medical expenses you did not plan. Not to mention, you and your family may be enduring trauma and emotional suffering. The last thing you want to do after enduring a car accident is deal with the insurance companies, the paperwork, the forms, and questionnaires. Statistics show that injured individuals, due to the fault of another, receive more compensation when they hire an attorney. This is where we come in to plan and help you. Our experienced team of lawyers understand the evidence we need to gather in order to build and prove your case. Beyond that, our attorneys are highly experienced in negotiating with the insurance companies to get you the money you deserve for your injuries. Our Davidson County personal injury lawyers also help determine the amount of damages you are entitled as a result of your car wreck. You may be entitled to recover for lost wages, past and future medical bills, physical pain and suffering, mental pain and suffering, loss of enjoyment of life, and for permanent or disabling injuries, as well as damage to personal property. Our attorneys are experienced in evaluating cases across Davidson County, Sumner County and Robertson County, and gather the necessary evidence the insurance companies need in order to effectively prove your case. We know what it takes to get you a favorable settlement. Family matters are some of the most difficult legal situations in which to deal. Let us help you navigate your case. When you are struggling to make the right decisions because of the conflict and the emotions you face daily, we are here to offer sound, compassionate legal advice. Our Davidson County divorce lawyers are highly experienced in the courtrooms across the surrounding areas as well, including Sumner County, and Robertson County. Tennessee domestic law is constantly changing. Our Goodlettsville family lawyers stay on the cutting edge of those legal reforms. New laws have been introduced in Tennessee changing the way we deal with alimony, relocation of children to a different state, dividing pensions and other investment accounts, marital property, valuing businesses, adoption prerequisites, the award of attorney fees, and child support arrearage and the interest thereon just to name a few of the recent Tennessee law reforms. The unknown is challenging when you are in the middle of a family legal matter. Having our team of lawyers on your side will relieve the pressure. We provide personalized service and will guide you through the process so you know what to expect with every step. Call one of our lawyers today (615) 859-1328 so that we may get started on your case. When you and your spouse get a divorce and have a minor child or children, the court will enter what is known as a Permanent Parenting Plan. The Permanent Parenting Plan accounts for the physical and legal custody of the minor child or children. Legal custody often involves decision-making among the parties to include healthcare, religious upbringing, education and extra-curricular activities. Whereas physical custody determines the child’s visitation schedule, which affects child support. The local courts always look to the best interest of the minor child. Often times, parents wonder if their minor child will get to choose where they live and how much time they spend with the other parent. Under Tennessee law, the courts will consider the reasonable preference of a child that is over twelve (12) years of age and may choose to hear the reasonable preference of the child if he or she is under twelve (12) years of age. It is important to remember that the child’s preference is not a determinative factor for the courts, if other factors are met, rather, it is one of the many factors the judge will consider. It is never too early to start planning for the unexpected. Unfortunately, when you do not have a Last Will and Testament or Durable Power of Attorney in place, the court system is often left to make major decisions on your behalf. Our lawyers are experienced in probating and administering estates and litigating estate matters in courtrooms across Davidson County and the surrounding areas, including Sumner County and Robertson County. Estate planning ensures your property is distributed to the individuals you choose to have it. It is important for individuals to consider their loved ones in the planning process. This is especially true when you have young children and you need to set up a Guardianship and secure their future. We walk you through various scenarios and potential outcomes, based on your particular situation, to ensure the future distribution you desire. Our Goodlettsville estate planning attorneys have also helped countless families in Goodlettsville and the surrounding community set up Conservatorships for their children with disabilities or their elderly parents who are no longer able to make informed decisions on their own behalf. We stay educated and up to date with Tennessee law to ensure your legal documents stand the age of time as well as any potential will contest or conflicts among heirs and beneficiaries. Let us help guide you through the preparation of your Tennessee estate documents. We understand losing a loved one is a hard and an emotionally exhausting time for you. Our Davidson County Estate Lawyers provide sound and compassionate legal representation to help guide you through the process of administering or probating his or her estate. There may be times when a deceased individual has no surviving spouse or children. Call our Goodlettsville attorneys today at (615) 859-1328 to make sure the estate is properly distributed. Our team of estate lawyers use years of expertise and experience to draft the necessary legal documents to ensure this process is efficient and cost-effective for the beneficiaries. Our Goodlettsville estate planning attorneys review each particular case carefully and conduct the necessary research and investigation to help properly distribute the assets. In the event there is a dispute regarding Will construction or wording, let our lawyers handle the research to prove or disprove validity. We make sure you stay well-informed throughout the process and are handling the property of the deceased in accordance with Tennessee law. Beyond that, our attorneys consider the future effects of creditors on an Estate as well as potential conflicts among family members and beneficiaries. Call one of our attorneys today at (615) 859-1328 so that we can help during this stressful and trying time. If you are looking to buy real estate property in the Nashville area, call one of our experienced real estate attorneys today at (615) 859-1328 to ensure your closing transaction closes with ease. 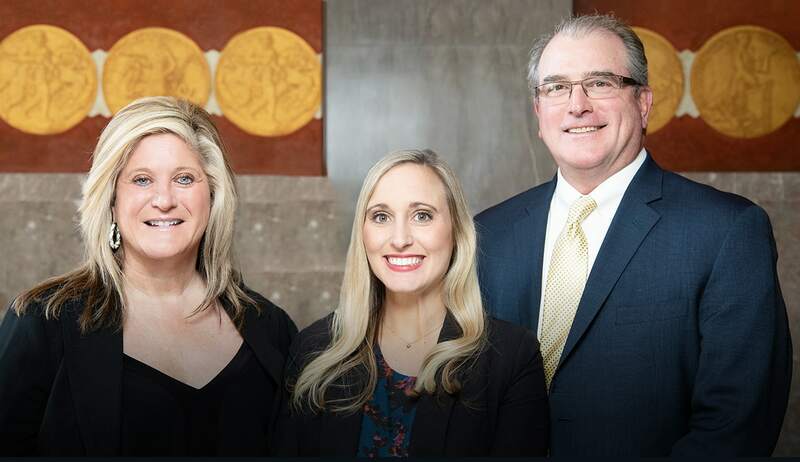 Our Davidson County real estate lawyers have years of experience advising individuals, generations of families, and business owners in property transactions across Middle Tennessee, including real estate closings in Goodlettsville, Hendersonville, Springfield, and Nashville, Tennessee. Our firm has handled countless real estate closing transactions for residential property, both big and small, as well as commercial property and refinance closings. Various real estate agents, lenders, both private and commercial, mortgage companies, and individuals rely on our firm to handle their real estate transaction from start to finish. Why Have an Attorney Handle Your Real Estate Closing? Purchasing commercial or residential property is a big step with an abundance of paperwork and documents to review. The benefit of having a lawyer handle your closing includes sound legal advice and expertise on contract review, document preparation and the ability to foresee potential legal conflicts in your real estate transaction. Often, estate law is included in real estate transactions. With an in-house attorney and title agent, we are a one-stop shop to combat any estate issues and plan ahead for what could potentially put a hold on the closing. When purchasing real property, document review and document preparation is one of the most important steps. Our attorneys are experienced in drafting these real estate documents and reviewing each carefully for quality and accuracy. Not to mention, you want competent legal counsel on your side to ensure you are not overpaying at your real estate closing for expenses. Our attorneys are experienced in negotiating purchase agreements to make sure you are not taken advantage of in the closing process. Let us handle the numbers for you. Our Davidson County personal injury lawyers are equipped and ready to handle your legal matter. Call Freeman & Bracey, PLC today at (615) 859-1328 to inquire about your free consultation and obtain reliable legal representation in Middle Tennessee. Feeling overwhelmed and exasperated, my husband and I sought consultation with Ms. Kimberley Reed-Bracey. From the initial meeting through the final ruling in our case, her dedication to the clients she serves, the judicial system of which she is a part, as well as her commitment to the ethical practice of the law were evident. Ms. Reed-Bracey is most assuredly a litigator who does not hesitate to go above and beyond what is expected when adjudicating a matter, she also brings with her experience, expertise, and passion that is surpassed by any other we had previously consulted or met. Scott & Kareena V.
I have used Freeman & Bracey, PLC once for my initial parenting plan and again recently to revise my parenting plan. On the most recent occasion, I had the pleasure of working with this firm and these people are truly amazing... Shelby G.
My husband and I have been with Freeman & Bracey, PLC for five and a half years. They are not only our attorneys, they treat us as family. On top of being great attorneys, they are amazing, genuine people. Very professional and they work extremely hard for their clients. I would recommend them to anyone! Jeff & Victoria K.
Fill out the contact form or call us at (615) 859-1328 to schedule your free consultation available*. *May not apply. Call today for more information.